The Balboa High School (BHS) was a public high school in the former Canal Zone under the administration of the U.S. Department of Defense. It was the Alma Mater for thousand of students who then populated the extinct Panama Canal Zone. The history of the BHS is intimately bound to the history of the Panama Canal and the Canal Zone. 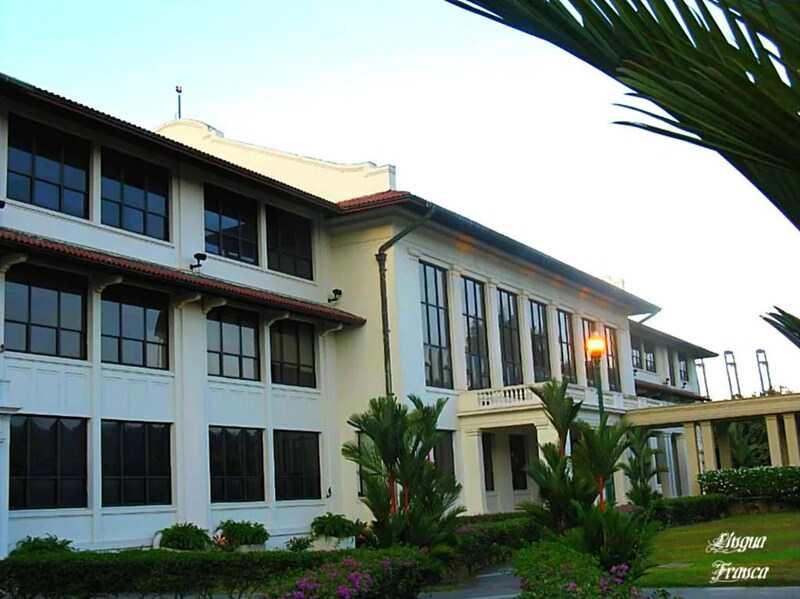 Aside from thousands of American dependents of the Panama Canal Company (later Panama Canal Commission), Canal Zone Government, and U.S. armed forces, the Balboa High School was also the Alma Mater for many Panama’s business and political elite. For example, Guillermo Ford, who later became Vice-President of Panama, studied and graduated at BHS. Construction of the first permanent building to house a high school in Balboa was completed in 1917. What came to be Balboa High School was not started until 1942 and completed through additions in 1948, 1949, 1963 and 1969. Prior to that, the high school was located in part of Building 710, known for most of its history as the Balboa Elementary School and in a temporary wooden building. 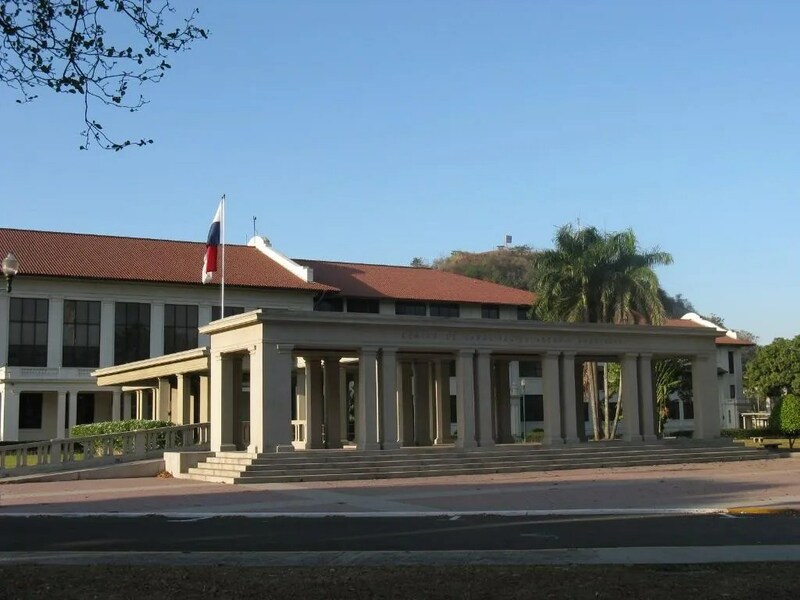 In January 1964, the Balboa High School was the scene of a controversial confrontation between high school students from Panama’s Instituto Nacional and groups of students and parents from the Balboa High School. The confrontation got out of hand, and for four consecutive days, the Panama Canal Zone was an area of intense violence. I can’t tell you exactly what happened at the premises of the BHS that unfortunate day of January 9, 1964. I wasn’t there, plus I’m not a historian to give you an unbiased opinion of what led to those violent incidents. I found two sources that might clear the picture for you. The first is an article dubbed, “As Befits the Occasion” written by Eric Jackson which is self explanatory and extracts of the book, “Yankee No: Anti-Americanism in U.S. Latin-American Relations” authored by Alan McPherson. 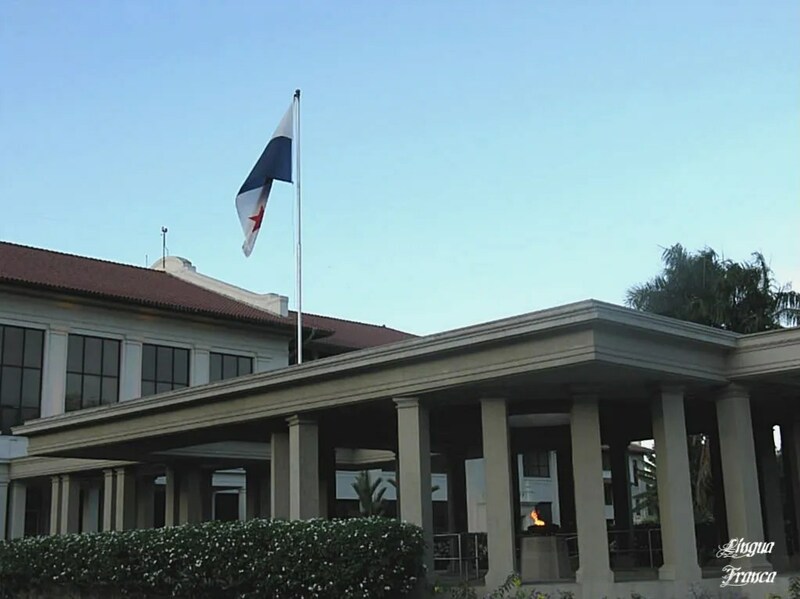 The BHS campus is currently a training center for the Panama Canal Authority—Centro de Capacitación Ascanio Arosemena. A new annex was created at the front entrance of the building to accomodate a pantheon for the Panamanians who were killed during the 1964 riots. The architectural style of the addition is similar to that of the Lincoln Memorial in Washington, D.C. The BHS was closed in 1999 in anticipation for the handover of the Panama Canal to the Republic of Panama, the removal of the last U.S. armed forces from the Isthmus, and the closure of the U.S. Southern Command in Panama. It was the end of an era than lasted almost one hundred years. I was at the BHS campus on Sunday, March 22, 2009 and took several pictures of this historic educational landmark in the former Panama Canal Zone. This is what I saw that early morning. Here we go. For those of you who have a keen eye for photographs, the streetlight in the previous picture might seem out of place. It’s not a proper thing to do according to the rules of photographic composition. But there is an underlying message in this image. The street lamp is there with an intentional purpose. When I shot this picture I thought that the street lamp constitutes a symbol of trust between the United States and Panama who have traveled together a journey of almost one hundred years. There were problems during the trip, but who doesn’t have problems in a long relationship? The pole itself represents the Panama Canal that is deeply beloved by both nations and by the whole world as well. The light bulb on the left represents a flame of hope, optimism, and friendship of the American people in its new relationship with Panama. The light bulb on the right represents the challenge, responsibility, and gratitude of the Panamanian people towards the United States for building a waterway that united the globe like never before. In a nutshell, the street lamp my dear readers, represents friendship in a new relationship between two nations after middday December 1999. Friendship between two great allies at the beginning of a new Millennium. Good Day. Destiny is sometimes determined by trivial, small, and insignificant events. 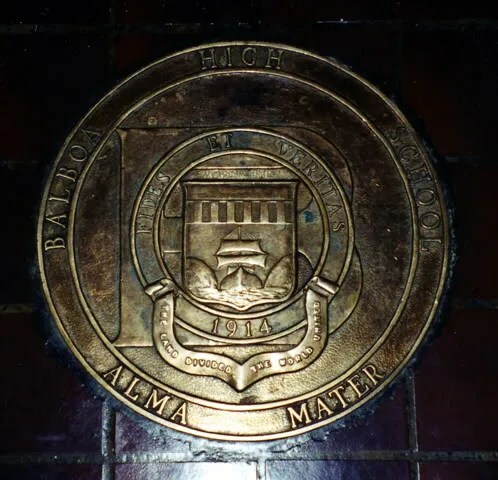 My mother graduated from BHS in 63 or 64–where can I go to get information on her graduation date? I lost her 23 years ago to Cancer and this information is lost to me. I’m sorry about your mother’s loss. 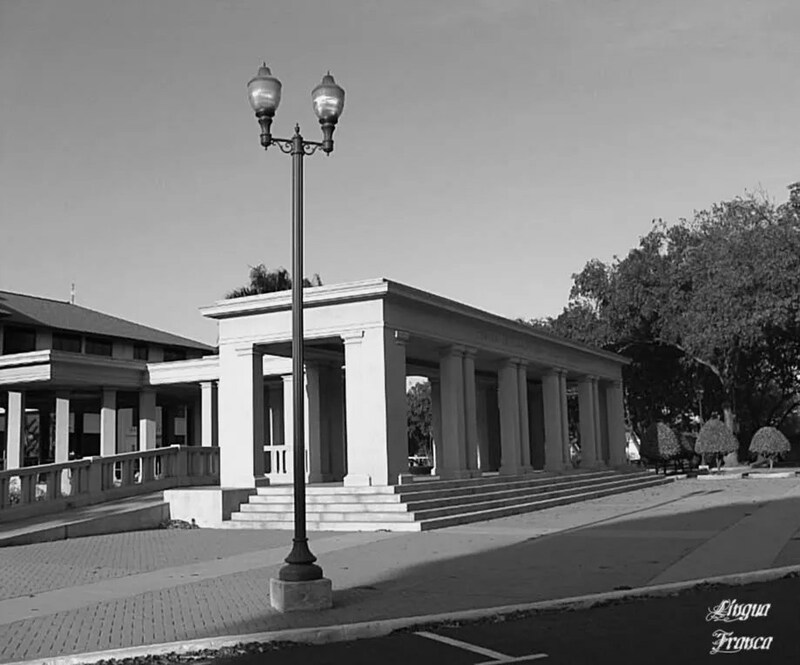 Since the former Balboa High School no longer exists, all files have been transferred by the Department of Defense (DOD) to the United States. I suggest you write to the Department of Defense in Washington, D.C. about your mother’s graduation information. At this end, the Panama government does not have access to this information. Good luck in your search. I hope you’ve been able to find the information you’re looking for. You may be able to connect with one of her former classmates via google groups, facebook, yahoo groups or the like, but I haven’t found any such groups yet for 1963/64. Did your mom ever talk about the riot that took place at Balboa High School in 1964? I am a graduate of Balboa High ’64 and my brother ’63. Your mother’s last name was probably not Castorena, but I will check the yearbooks for those years. Online there are copies of those yearbooks…..
Hope this helps. If she was in one of these classes let me know and I will pass the information along to the class. Maybe someone might have been a good friend. If you will give me your mother’s name – I have my year books from 61-64. I also graduated in 64. I would be happy to help you, if I am able. My brother Arnold Lim graduated from Balboa High School in 1977 and I graduated in 1980. Hi Annette! I graduated from BHS in 1978. However, I don’t remember your brother. Elizabeth; My name is Richard Cressy and I was a student at BHS and graduated in 1964. What was your mother’s name when she went there? I hope that this helps, if not let me know and I may be able to put you in touch with someone else. Hello…I attended BHS and graduated in 1980. Do you have any information on how I can get a copy of my diploma? 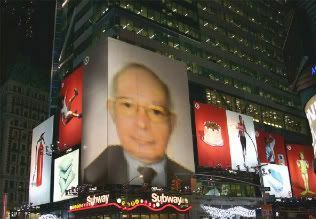 Thanks for those pictures, I was in panama this past july of 09. I went everywhere around the CZ. All I could say was WOW!! Before then I was in panama a couple of years earlier. I was born and raised in Panama……….GO BULLDOGS!!! CZ FOR EVER!!! I would suggest you contact the Department of Defense in Washington, D.C. to obtain your BHS diploma. That’s where all records were taken after the BHS was closed in Panama. Note: REQUEST ALL PANAMA CANAL STUDENT RECORDS/TRANSCRIPTS FROM THE DODEA RECORDS CENTER, Fort Benning, Georgia. If it takes more than 10-12 working days to receive a student record, the requestor may call DoDEA Records Center at 706-545-4785 or DSN 835-4785 to inquire into the status of a request. If it takes more than 10-12 working days to receive a transcript, the requestor may call (706)545-4785 to inquire into the status of a request. Linda thanks for the information i too was looking for a copy of my transcripts. I graduated in 74. How about a copy of my diploma will they be able to furnish that as well. Searching for an old friend and graduate of Balboa: Patricia Creago. How might I locate her. I think she graduated between 1963 or 1964? Peace and Blessings to all BHS graduates. I have a book from the panama canal library balboa heights class b from the administration building . My great great grandfather took it out and kept it. He passed away and left it to my grandfather , then my father , then me, be interested to know it’s value. You own a priceless item. Keep it safe for the generation to come. looking for Elizabeth A Cobb,(aka,ABIT),sister, Day Cobb…..last contact 1972….her dad Newt,mom Carolyn….. The best High School ever! I need the address of Balboa high got an application . Best school ever; 1976, 1977. Graduated 1978. I graduated from BHS in 1978 as well. Is there a Facebook page for our class? I am trying to find a phone number for Balboa High School in the Republic of Panama so I can send for my transcripts can anyone help me…. Lisa, I’ve been trying to find you!!! Please contact me at my email, or Facebook karen soper robins. I would love to catch up with you!! Yes. What year did you graduate? I’m sorry, but I can’t contact Lisa Hall. I only took pictures of the venue. I have no relationships with the persons who studied there. I wish I could do more to help you out, but no joy. Maybe somebody reading this blog might read your request and write to you. Fingers crossed. I went to Balboa High from 1970 to 1972. I didn’t graduate there because we came back to the U.S. my senior year. Those were some of the best years of my life. I left some very good friends behind. I have wanted to contact them for years but haven’t known how. I have searched some of the list with no luck. Some of them still live there 😦 Any suggestions?